The Twin in Berlin: I Am Grateful That Heavenly Father Watches Over His Missionaries, And That He Sends The Holy Ghost To Calm Our hearts. I Am Grateful That Heavenly Father Watches Over His Missionaries, And That He Sends The Holy Ghost To Calm Our hearts. This week was strange but still enjoyable! So we met with Doreen and she wants to be baptized! We talked about the book of Mormon and read about the Atonement. She has some drawbacks but we read in Alma 7 verses 11-13 and this warm feeling just flooded the room! I felt the spirit so strong and warm in my heart, and we could see it in her face, too. The next day she texted us with all these worries about her family and the fight between her heart and head. It took a few texts\calls and for a time we thought she was GONE buuuut now we are going over tomorrow. 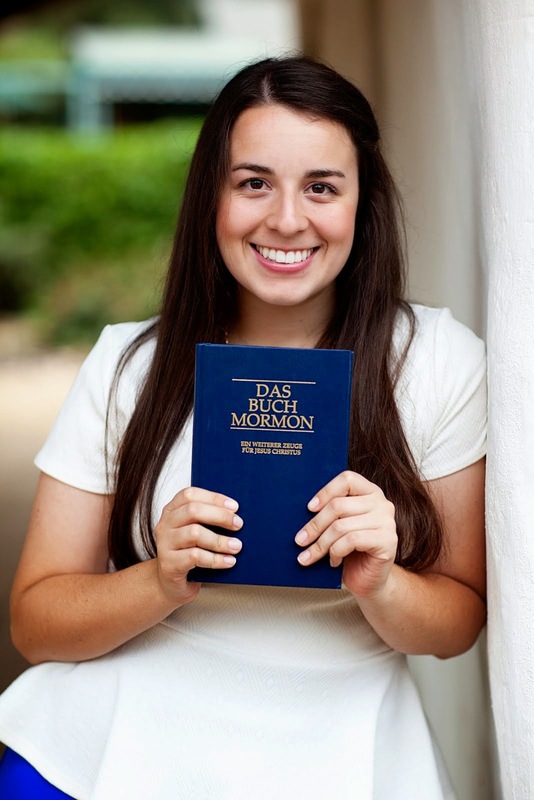 She wants to read the Book of Mormon through to really feel good about everything. I love her so much and it's been a bit of a rollercoaster with emotions, BUT I know that it's all worth it. Mal schauen how it goes tomorrow. woohoo! So we saw Holger and Rene, (Rene is his MAN neighbor) on Wednesday. They brought another friend. So we were sitting there chatting about the temple last week and then the friend was like I think there is an anti-Christ here among you..... And it all went downhill from there. He kept grouping our Faith generally with other religions and was totally bashing us. I was trying to tell him that we actually believe in a prophet who is called of God, and I said, "you can look at that picture over there to see the past few prophets" (pointing at a picture on the wall) and then PRACTICALLY interrupting me he says, without looking to where I was pointing, " that's nice." and just kept looking forward. I don't know if I let it literally happen but auf jeden fall inwardly my jaw dropped. I WAS TOTALLY RAGING FOR LIKE 20 seconds. Oh my goodness it was so hard no to lose it. Rene and Holger were both lost with the point he was trying to make, if anything they both became more interested in what we had to say. Holger was totally sticking up for us it was so precious!!! I love them and I really hope that this week goes much better! So we have not heard anything more from Lou, buuuuut at least we know she still cares! Keep her in your prayers. Sister Reed is doing well. She has the most lovely curly hair! I love being with her. The best thing to happen was on Wednesday after our appnt with the three men. That morning before district meeting was when Doreen had texted us and all emotions and thoughts went everywhere, then we were feeling discouraged after said appnt with men, BUT THEN sister Todd, the American sister in our ward called. She said she had made too many chicken enchiladas for the elders and invited us to come over too. MIRACLE. Oh man such a tender mercy after a rough day!!! I was so grateful and my little heart just sang as we got to their house. 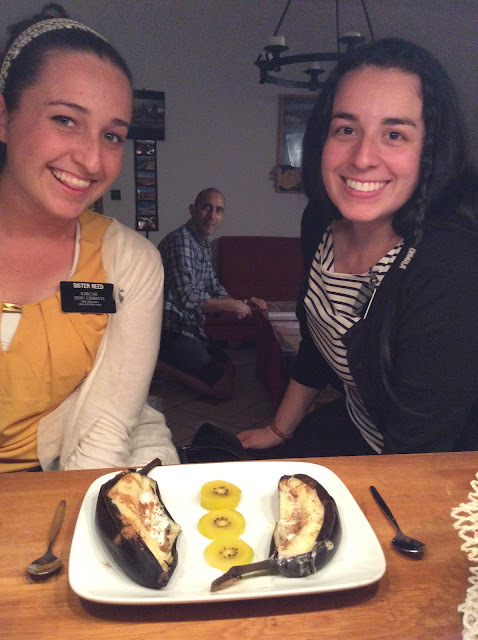 The Todd family is a crack up, and really a second home for the missionaries here. It was a little sign that Heavenly Father is watching out for us. Wellll So about this earthquake business in Chile. There are all these little info screens in Bahnhof here and while waiting for our s bahn I saw that there was this huuuge earthquake in Chile.....BUT nothing really stirred inside of me! I mean don't get me wrong of course I was worried, but I felt calm. Then mom emailed me and then dad as well within a few hours, and I knew it was all good. I am grateful that Heavenly Father watches over His missionaries, and that He sends the Holy Ghost to calm our hearts. Stoked to see what Megan says about it all. I know that this work is important. I know that God answers our prayers. It is possible for every single one of us to come to know Christ, and feel the personal love he has for each of us. We are capable of not just keeping the commandments, but of changing our desires to want what God wants. He can change us!